Oh Jones...: Four Dates and a Funeral....Parlor Attendant....No? Too Much? Four Dates and a Funeral....Parlor Attendant....No? Too Much? This past week big things have been happening in my life. I cooked chicken for the first time ever. I have an unnatural fear of eating fatty gross chicken. So you can imagine my fear of actually cooking it. But alas it all worked out and I made homemade buffalo chicken. I haven't died yet so YAY! 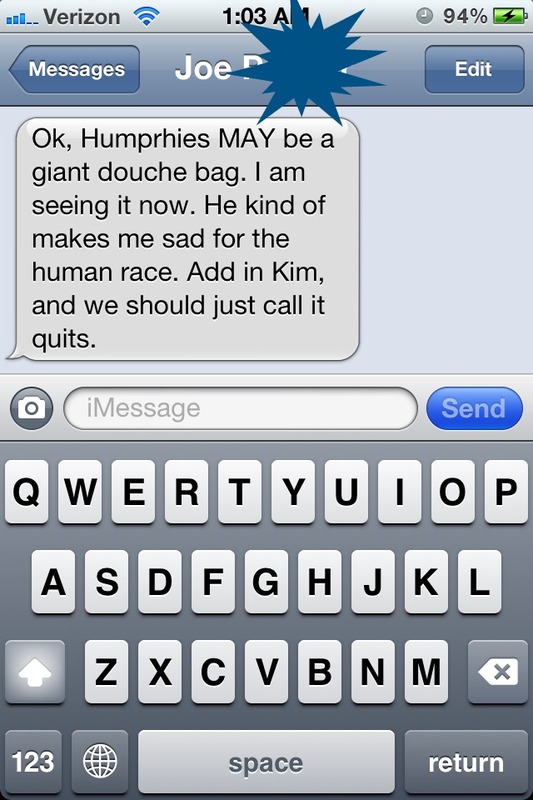 Joe admitted that I was in fact right about Kris Humphries. Yep. 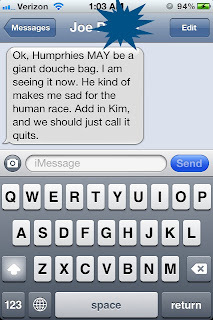 Last night's episode of Kim & Kourtney finally did him in and he is now against the Humph. I have to admit I missed the first hour. I had a meeting and checked my watch every 30 seconds to see how much of this gem I was missing. Let's be honest I was panicking. When I finally got home and body checked my roommate into the wall to get to the TV, it turned out the crazy was just getting started. I was all caught up. I'm still not over Ben's hair. I feel like this is the time in the show that women start stealing locks of the dude's mane for their hair doll family but perhaps these ladies are just taking it slow. However I don't hate this picture of him. I'm not an expert but I don't think you normally ski with your shirt off but whatever. I'm also grossed out by Ben's compliments. Last night he told a girl that she was the best kisser out of all of them. She acted like he had proposed to her. I don't really want my potential future boyfriend to be able to compare my kissing talents to those that are 30 feet away from me and prepared to murder my family should they not receive a rose. Then to add to the madness some biddy from another season Chantel arrived. Apparently she is a funeral home director. The girls did not like her at all. They were acting like Chantel punch a pack of orphans in the face, while simultaneously taking their lunch money. I didn't watch her season. Ben on the other hand was all about it for a minute. Chantel tried to play it cool and act like it didn't matter if she got chosen or not. The women on the other hand were losing their minds. "THE BEN I KNOW WOULD NEVER GIVE THAT HARLOT A ROSE." "I'M LEAVING IF SHE GETS A ROSE TOO." "THIS ISN'T FAIR TO THE GIRLS WHO HAVE LEFT BEFORE." "I LOVE BEN MORE THAN SHE DOES." How do you think you're falling in love with someone after three dates? I can see falling in love with a sandwich in 3 minutes. But falling in love with a dude after you've been on two group dates and had a moment of eye contact during the elimination night doesn't really constitute love. Perhaps I'm just being a scrooge and not embracing the fairytale. Taylor Swift would be so disappointed in me. Without Jenna there I was upset. I missed that crazy little nugget. Sure women were suddenly transforming into tributes from the "Hunger Games"
But not really Jenna style. Then they showed Courtney started to sprout her crazy horns. The first stop on the crazy train involved her asking Ben to show him around the house he was staying in. She was so insanely creepy. She also dropped the "we would have cute babies," comment. Ben didn't jump off the balcony like I thought he would. The episode was full of surprises. There's something else about Courtney that weirds me out. 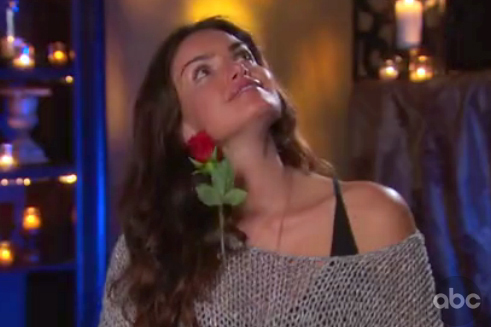 Whenever she gets a rose she smells it and rubs it all over her face. Other girls just take them and probably dry them out to put in a locket or something but she uses that rose like it is face lotion and I don't like it. 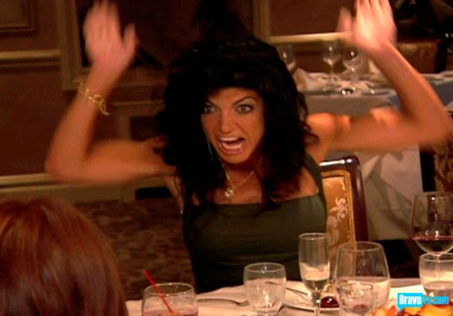 In the previews for the other episodes she really seems to come unhinged and I can't wait. I think she's in it to win it. It ended with Ben picking my favorite Kacie so I was pleased. I didn't care if he picked Chantel or not. However he through the women into a tail spin when he decided to let the the 3 remaining contestants go. Another girl acted like her house was on fire. Chantel threw her hair into a side pony and let her mascara run down her face. I think my favorite part of the episodes is watching the women transform into monster criers. It's when their real self comes out. They start babbling about how in love they were and how he made a mistake. I'm not saying I wouldn't do the same thing. Either that or eat a super sized fry on camera while crying about not understanding why I wasn't good enough. NO COMMENT ABOUT THE LIP TATTOO?!? I'm so disappointed. The only thing I can add to this post is that Jaclyn (one of the girls who freaked out so much) said on this episode: "On a scale of 1 to 10 I think I'm going to throw up." Also, I'm going to go out on a limb and say you should apply to be on the next Bachelor. If you don't do it, I just might have to do it for you.